Eloise Harriet Stannard was one of 14 children of Alfred Stannard and one of The Norwich School of Painters. She learned from her father. At a young age she reached her mastery of still life painter. Her first contributions to the British institution began in 1852 and The Royal Academy of Arts in 1856 and regularly after. During her lifetime Eloise Harriet Stannard sold her works extremely successfully. After her mother’s death in 1873, she took over the large family with numerous responsibilities. Elouise could not repeat her earlier productivity and quality. Elouise continuously worked in the studio into old age. Eloise Harriet Stannard died on February 2, 1915 unmarried and childless in Norwich. 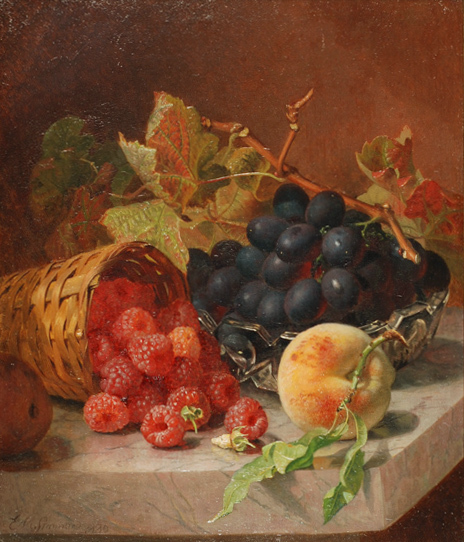 Only Still life subjects in oil are known especially fruits presented in baskets and bowls on a reserved set stone slab resting in bright colours, often accented with leaves and foliage and usually a monochrome background. At that time in the East of England her subject featured quite exotic fruits such as pineapples and pomegranates. Occasionally small animals (insects, beetles, snails) appeared in her work especially in summer and autumn arrangements. The arrangements often in direct sunlight produces a luminosity that will remain characteristic of her paintings. Stannard enhances the colour effect by several superimposed layers. Her brushwork is very fine and barely visible. Typically the handwritten signature is found bottom right or left as EH Stannard or EHS, usually complemented by a four-digit year. Not infrequently, the signature is placed diagonally. Her pleasing still life paintings are well known for their outstanding quality, colour and her persistence for detailed realistic representation especially the surfaces of fruits and leaves. 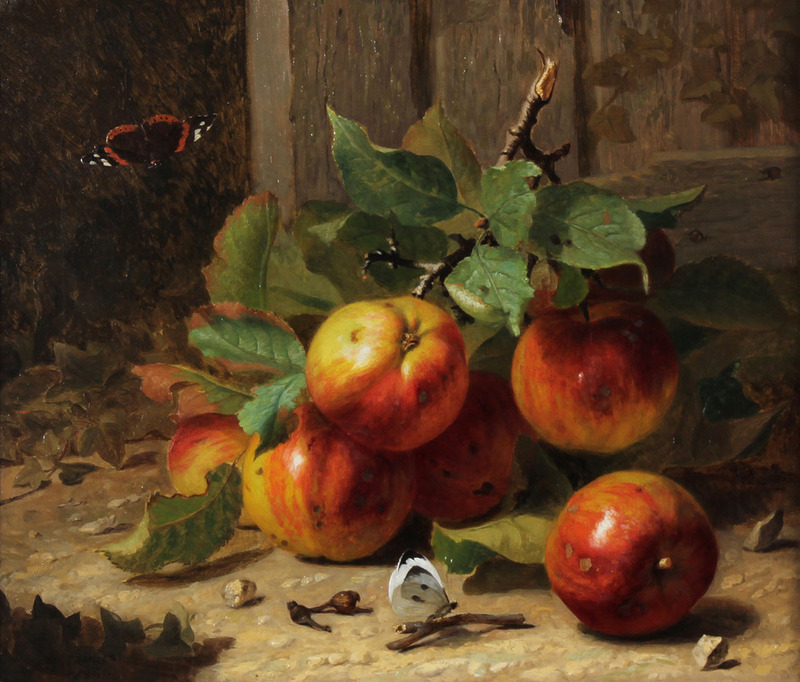 Eloise Harriet Stannard is today, as in her lifetime, the most outstanding still life painters of Europe in the 19th century.The largest public collection of works by EH Stannard is located in the Norwich Castle Museum.